Workers wearing industrial uniforms and Welded Iron Mask at Steel welding plants, industrial safety first concept. hd00:16Metal cutting by the laser. Heavy metallurgy. Easy metallurgy. Work with metal. Production of spare parts. hd00:15Work at the plant. Electric welder at work. Metal construction. hd00:25Person heats up copper tubing with blow torch, soldering metals together making custom product in warehouse. 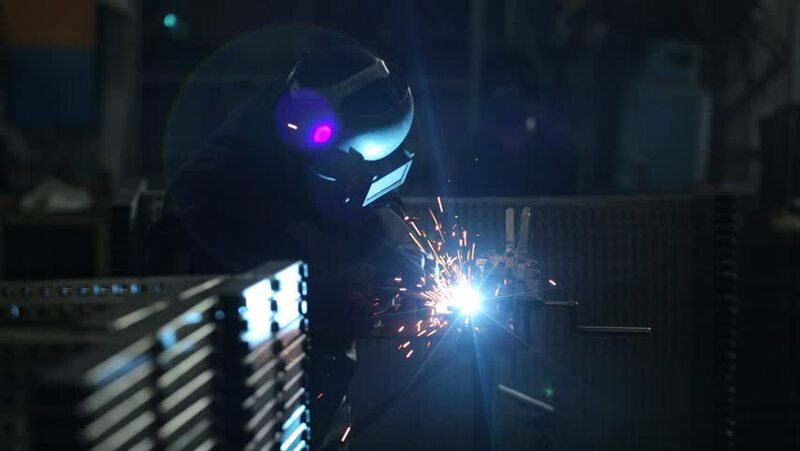 hd00:17Masked workers and safety kits, Electric wheel grinding on steel structure and welders with multiple sparks in factory.